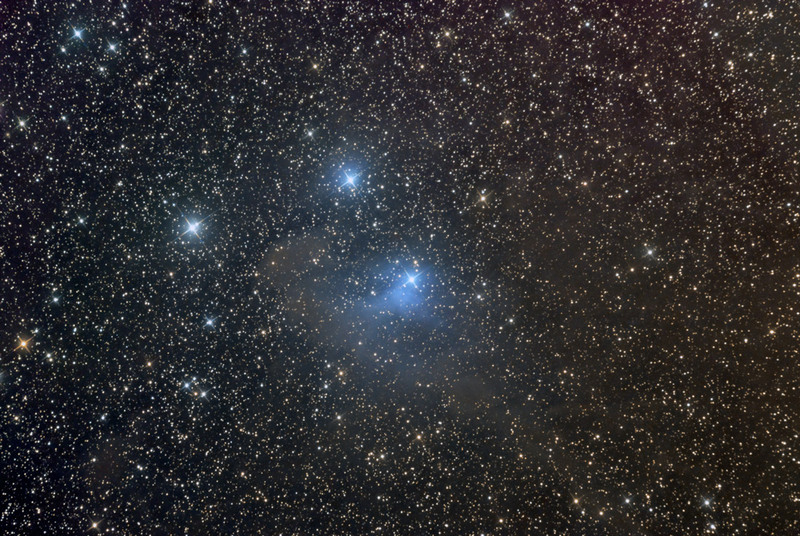 VdB 29 is a small reflection nebula, visible in the constellation Taurus. It lies on the border with Auriga and is illuminated by a blue-white star of the main sequence of magnitude 7.4, cataloged as HD 30378, which gives the nebula its bluish color. The cloud extends in particular to the west from its central star, up to fade in a small dark region. Its distance of about 640 light years places it near the region of dark nebulae in Taurus, an area of star formation.